Dr. Stephen Beed wants people to start talking about death over dinner. Now that Nova Scotia is set to become the first jurisdiction in North America to have presumed consent for organ and tissue donation, Beed says he hopes the move will prompt more people to discuss their wishes with their loved ones. Beed, the medical director of Nova Scotia’s Legacy of Life and critical care organ donation program, said at any given time 250 to 300 people across Atlantic Canada are waiting for a transplant. Under a presumed consent system, anyone who does not opt out of donating their organs will be considered a potential donor. It’s a change from the current status quo, which requires people to opt in to become a donor. About 90 per cent of Canadians say they support organ and tissue donation, but less than 20 per cent have actually made plans to donate. But for the province’s proposed opt-out donation legislation to work, Beed said, people and health-care professionals need to better understand the process. He spoke to CBC News about common misconceptions and questions about the organ donation process. Will presumed consent mean everyone’s organs are donated? No. Beed said only one to two per cent of patients in hospital would be considered as possible donors. Last year in Nova Scotia, he said, there were only 21 donors, so he stressed these are rare events. There has to be a specific set of medical circumstances — usually a serious neurological injury. “You basically have to be on a ventilator, so you’re intubated. You have to have a condition compatible with neurological death, so that’s a big bleed or a severe trauma to the brain,” Beed said. With the new legislation, the province hopes to increase organ donation rates by 20 to 30 per cent. Does donating organs delay funerals? It can, but usually the organ donation process only takes about 24 to 36 hours. 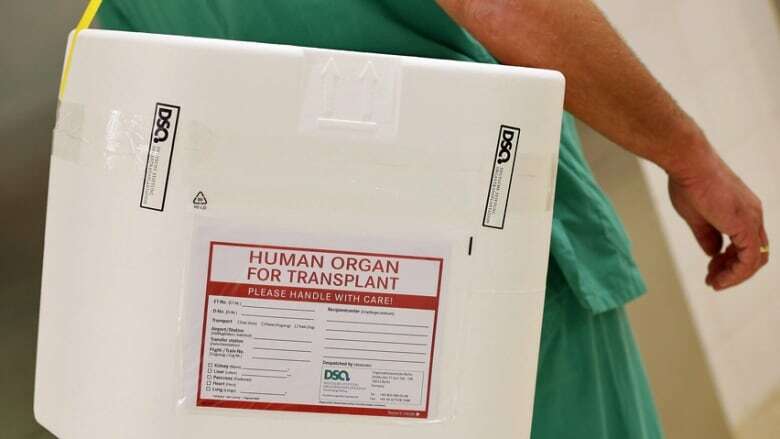 Beed said the timeframe depends on a number of factors, including whether suitable organ recipients are available and the logistics involved in the transplant. From time to time, Beed said, families are so exhausted from dealing with a sick loved one that waiting any longer can be challenging. “But I’d like to say that if we can ask their indulgence for just 24 more hours, they’ll have a gift that they can think about for the rest of their lives,” he said. Can donors’ families still weigh in? Yes. Health-care providers would be required to flag possible donors. Part of the process, though, is checking in with the patient’s loved ones to find out what their wishes are, Beed said. “We’re not going to do this in a vacuum…. There’s two layers of — call it protection, if you will — into the system,” he said. Families currently deal with a “significant burden” when someone has not clearly indicated they wanted to be an organ donor, Beed said, and he hopes the new legislation will help alleviate the added stress. Will presumed consent apply to everyone? No. It wouldn’t apply to minors or people who lack the capacity to understand the concept. The legislation also wouldn’t apply to newcomers to Nova Scotia — those in their first year living in the province. Beed hopes an emphasis on public education will ensure information reaches people who may not know about the law and its implications. What’s the process for opting out? That has not yet been finalized. Beed expects people will be able to opt out online, but that there will also be a program to do so in person to capture people who may not have access to the internet. He said the goal is to ensure it’s well publicized, too. “We want to develop a process that is very user-friendly, it’s culturally sensitive and it’s readily accessible,” he said, adding he anticipates it will be a task that only takes a couple of minutes. Is presumed consent about control over people’s bodies? Beed strongly disagrees with this idea. “This is not Big Brother coming in and saying we’re going to take all your organs whether you want it or not. And we want to be extremely respectful of the fact that if people feel that way, then we won’t be fighting them on it,” Beed said. “This is about providing the best opportunity for people who are sick and who need a life-saving transplant. And this is the best opportunity for families to be comforted by the gift of donation. He also said people often don’t consider the need for organ donation until it’s something they need themselves. “People who wonder about this now will probably have a pretty different opinion if they’re the one on the wait list,” he said. How would this new program work in Nova Scotia? Health-care providers will play a big role because they are the ones to identify donors, Beed said. But doctors in certain fields are more likely to be familiar with the donation process. Beed wants to see those physicians support colleagues who don’t regularly see patients that meet the donor criteria. Physicians are supposed to flag these patients now, but he said audits show that doesn’t always happen. Under the new legislation, it would be mandatory. “Anybody who looks like they may imminently die would be screened as a potential donor and then the phone calls and referrals could occur — that’s a significant change from what happens now,” Beed said. Beed hopes people start telling their family members about their wishes, and said there will be information available online for people who want to learn more about their options. “I’d also like to think that in a year or a year-and-a-half, they would be more comfortable going to their family doctor or their local community resource and have a health-care team there that could walk [them] through this,” he said.